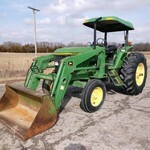 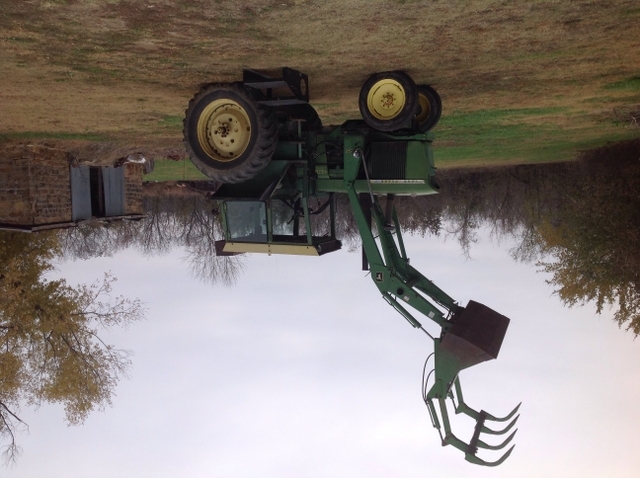 JD 4620 tractor and loader. 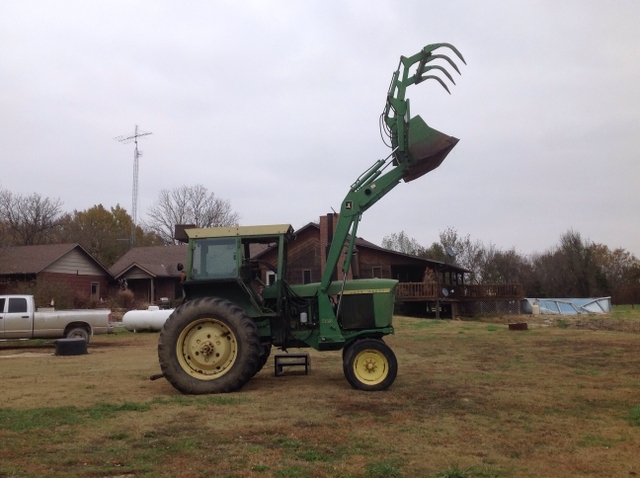 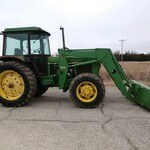 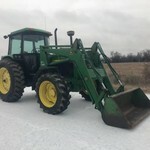 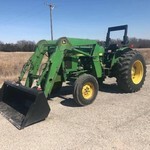 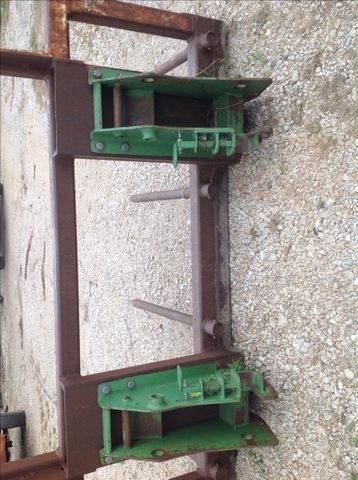 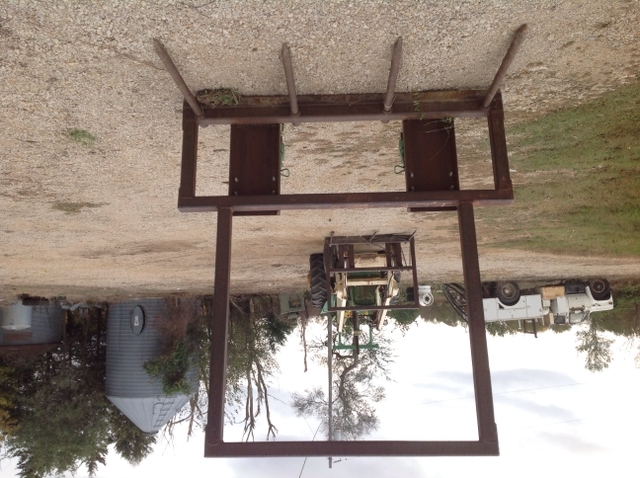 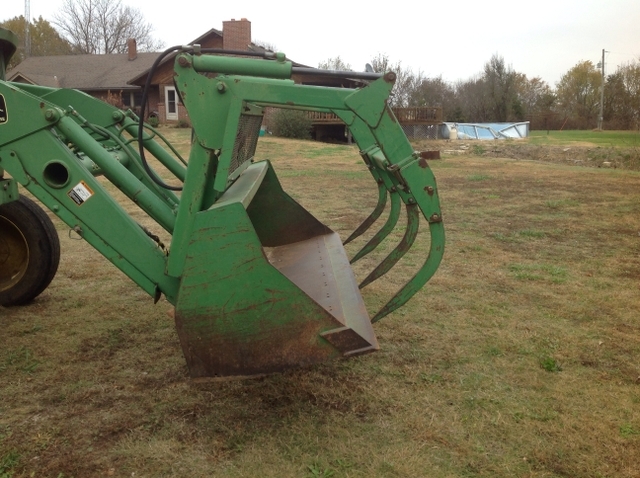 725 JD quick attach loader,8' bucket with grapples with quick attach also real nice bale fork with backstop that you can pick up three 3x3 sq bales at a time. 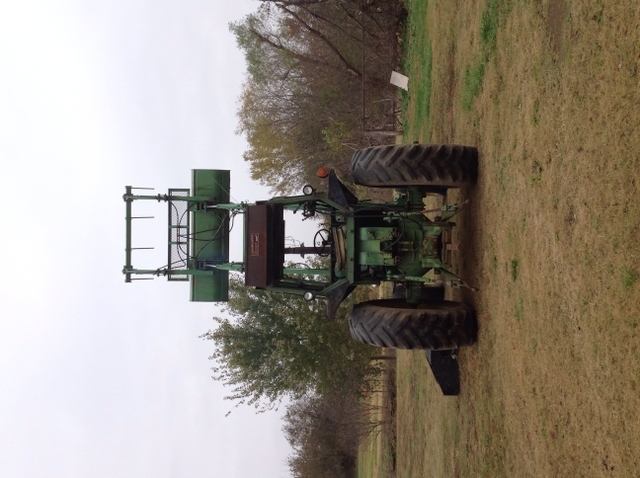 Good running tractor.